"Legend" has been one of my favorite movies since I was a child. 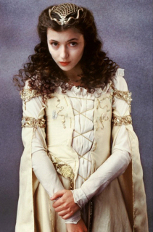 I absolutely adore Mia Sara in her role as Lily and I have been wanting to make her princess gown for several years now. I am hoping to finish this costume for Halloween 2012.